When the University of Louisville went looking for its first new men's basketball coach in 30 years just four years ago, it didn't just get the best person available. The Cardinals got arguably the best person, period. 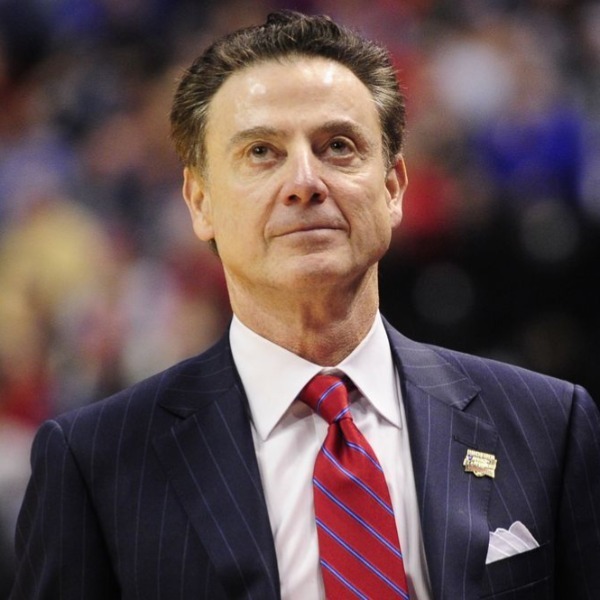 Rick Pitino, one of the most brilliant minds in coaching, began a new era in University of Louisville men's basketball when he was named head coach of the Cardinals on March 21, 2001. And as he successfully accomplished at his previous three collegiate coaching stops, it is clear that there couldn't have been a finer choice to lead Louisville back among the nation's elite teams. Pitino's up-tempo style, pressure defense, strong work ethic and family atmosphere have quickly returned the Cardinals to national prominence, with top 25 rankings over the last three years and a visit to the Final Four for the first time in 19 years as evidence. The Cardinals were No. 3 in the nation in the final 2004-05 ESPN/USA Today poll while posting a stellar 33-5 record, matching the most victories in U of L history. U of L won its first-ever Conference USA regular season title and also claimed the league tournament championship. Louisville reached its first NCAA Sweet 16 since 1997 as the No. 4 seed in the Albuquerque Regional before advancing to its first NCAA Final Four since 1986. Pitino, who made his fifth Final Four appearance, became the first coach ever to guide teams from three different schools to the Final Four. Last season's successes were built upon the efforts of his early teams at U of L. Two years ago, the Cardinals won 16 straight during one stretch and rose to as high as fourth in the national polls before a trio of key injuries disrupted the Cardinals' flight. U of L won 20 games in back-to-back seasons for the first time in six years while facing one of the nation's toughest schedules. Pitino gained his 400th career coaching victory with a 73-65 victory over then top-ranked Florida on Dec. 13, 2003, the first of two wins that season U of L achieved over No. 1 ranked foes. In his second year at U of L in 2002-03, the Cardinals reached the No. 2 position in the Associated Press poll and spent time as the nation's top team in the Ratings Percentage Index and Sagarin Ratings. After a 1-1 start, the Cardinals reeled off an incredible 17 straight victories, one short of the school record and the second-highest ever in Conference USA history. U of L won its first-ever Conference USA Tournament title. Pitino did not wait for the Cardinals to make an upward move. In his first year at Louisville in 2001-02, he guided an undersized, often outmanned squad to a 19-13 record, upsetting the nation's fourth-ranked team along the way to earning a post-season tournament appearance in the NIT, nearly reversing the Cardinals fortunes the season prior to his arrival (12-19 in 2000-01). Pitino has embraced the storied tradition of Louisville Basketball and made a commitment to producing a vibrant program that will soon challenge for a national title. In 18 seasons as a collegiate head coach at four different schools, Pitino has compiled a 449-159 record, a .738 winning percentage that ranked him eighth among active coaches and 27th all-time entering the 2005-06 season. His current contract ties him with U of L through the 2009-2010 season. Among active coaches, Pitino has the third-highest winning percentage in NCAA Tournament games, winning 75.6 percent of his games in the post-season event with a 31-10 record in 11 tournament appearances. He is one of a select group of four coacheswho have taken teams from four different schools to the NCAA Tournament. He is one of 10 coaches all-time who have reached the Final Four on at least five occasions. Pitino's impact goes beyond the teaching, motivation and X's and O's of his on-the-court skills. His incredible charisma, tireless work ethic, captivating speaking skills and widespread appeal not only mesmerize the Cardinal faithful, but have the collegiate basketball world abuzz as well. His arrival in Louisville has generated incredible attention beyond the borders of the state he and his family have come to love. Pitino is known for getting his players to believe in themselves, instilling the desire to succeed and driving his players to overachieve. His former players speak of their coach's caring nature beyond their basketball skills. For three and a half years, Pitino served as president and head coach of the NBA's Boston Celtics. With the Celtics, he took over a team that had posted a franchise worst 15-67 record before his arrival. He quickly made an impact, improving the Celtics' victory total by 21 games in his first season. He resigned his position with the storied franchise on Jan. 8, 2001 after compiling a 102-146 record there. He guided Kentucky to three NCAA Final Four appearances in his last five years at Kentucky, winning the 1996 NCAA Championship and reaching the national title game in 1997. In eight seasons with the Wildcats, he amassed a 219-50 record (.814) while winning two league crowns and an impressive 17-1 record in the Southeastern Conference Tournament. While at Kentucky, Pitino coached three Wildcats who earned All-America honors and eight players who were drafted by the NBA, including six in the first round (three lottery picks). Pitino, 53, got his start in coaching as a graduate assistant at Hawaii in 1974 and served as a full-time assistant there in 1975-76. He served two seasons as an assistant at Syracuse under Jim Boeheim from 1976-78. Pitino was only 25 years old when he accepted his first head coaching job at Boston University in 1978. He produced a 91-51 record in five years there, departing as the most successful coach in BU history. In his final season there, he guided the Terriers to their first NCAA Tournament appearance in 24 years. He was twice named New England Coach of the Year (1979, 1983). Pitino left Boston U. to become an assistant coach for the New York Knicks from 1983-85, where he worked with head coach Hubie Brown. It was a team he would return to lead as its head coach in two seasons. He was head coach at Providence College for two seasons (1985-87), producing a 42-23 record there. He guided the Friars to an NCAA Tournament appearance in 1986 and a trip to the NCAA Final Four in 1987, winning the regional championship in Freedom Hall. Before his stint at Kentucky, Pitino served as head coach of the New York Knicks for two seasons. In his initial year there in 1987-88, the Knicks improved by 14 victories and made the NBA Playoffs for the first time in four seasons. The Knicks won 52 games in 1988-89 and swept the Philadelphia 76ers in the first round of the NBA Playoffs. Aside from his hoops prowess, Pitino has achieved success off the court as well in such realms as broadcasting, publishing, motivational speaking and horse racing. He is an accomplished author, producing such books as the best seller "Success Is A Choice" and "Lead to Succeed." He earned his degree in 1974 at Massachusetts, where he was a standout guard for the Minutemen's basketball team. His 329 career assists rank eighth all-time at UMass and his 168 assists as a senior is the sixth-best single season total ever there. Pitino was a freshman during NBA legend Julius Erving's senior year. Born Sept. 18, 1952, Pitino is a native of New York City where he was a standout guard for Dominic High School in Oyster Bay, Long Island. There, he captained his team and established several school scoring marks. Pitino and wife Joanne have five children: Michael, Christopher, Richard, Ryan and Jacqueline.